"It's Easier to build strong children than to Repair broken men"
NO BOY DREAMS OF A LIFE IN PRISON. OF DYSFUNCTIONAL RELATIONSHIPS AND SOCIAL DISCONNECTION. OUR GROUP-MENTORING MODEL HELPS ADOLESCENTS FIND THE INNER RESOURCES TO NAVIGATE THEIR LIVES SUCCESSFULLY. Across our nation millions of boys grow up feeling disconnected. We mentor boys so they feel connected and help to build community. See the progress we are making in boys’ lives every day. We offer boys a community where they can hear other boys, and men, share their stories and understand they are NOT ALONE in their struggles.. Boys to Men is a community of dedicated men who are able to guide and support young, often fatherless boys on their journey to manhood. Watch this video from our San Diego chapter to learn more about what we do. 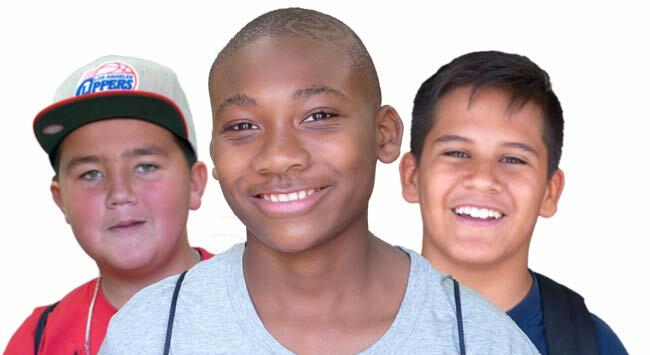 As an organization we effect positive change in boys in our local community. But we need your help. Boys To Men Phoenix is part of the Boys To Men USA network. Our program is sweeping the nation and empowering at risk youth with the tools they need for emotional intelligence. Boys To Men does not only through our in-school group mentoring program but also through our excursions and adventures. See some of our experiences here!